Can You Over Condition Your Hair? When you have afro hair the one piece of hair care advice that you always seem to get is ‘moisturise!’. Conditioning is one of the most popular ways to moisturise, but is all this conditioning good for your hair? 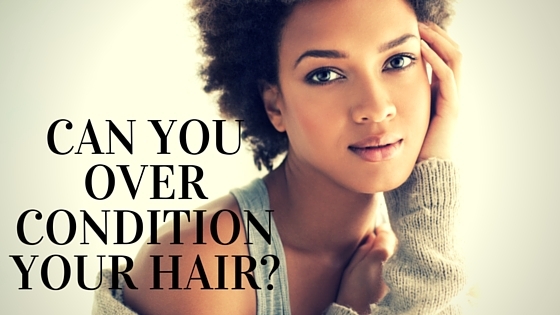 Can you over condition your hair? The answer is ‘yes’. It is a rare occurrence with natural Afro hair because of it’s typically dry nature, but it is possible to over condition your hair especially if it is chemically processed. When you condition your hair too often you are putting layers upon layers of conditioner on it and this will, over time, reduce the effectiveness of any hair products that you use. Read on and find out more about over conditioning to ensure that your luscious tresses do not fall prey to this damaging condition. Let’s start by looking at what conditioner is for in the first place. Your conditioner is meant to protect your hair and give it moisture as well as nutrients. When you use a conditioner it forms a layer on the shaft of your hair, giving it nourishment and helping it to stay hydrated. Conditioning is an important part of your Afro hair routine primarily because of its moisturising benefits. Hair that is properly conditioned will have a healthy texture, soft feel and a shiny glow. Hair that is over conditioned on the other hand, can become badly damaged and eventually break. Knowing how much conditioner is too much can be a bit tricky as everyone is different. What may be too much conditioning for one person may be just enough for another; but generally speaking if you have chemically treated or coloured hair then it will be easier for you to over condition than someone has natural, unprocessed afro hair. Overall though, over conditioning afro hair is not very easy to do, you will have to condition your hair very regularly and keep conditioner in your hair for extended periods of time for it to happen- but it does happen. Even if you start out with very dry hair, conditioning it will make it nice and soft at first, but if you over condition it you will notice that in time it will start to feel dry again. This is because over conditioning your hair makes it more porous and so it is not able to retain as much moisture. The numerous layers of conditioner will also reduce the effectiveness of any other hair care products that you use. 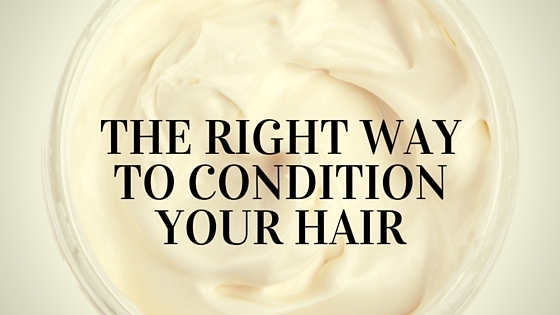 You will know if you are over conditioning your hair by the way it feels. If your hair feels heavy and doesn't have as much volume as before then there is a good chance that you are conditioning it too much. Over-conditioned hair also tends to feel very limp and it is usually quite difficult to style because it is too slippery, stretchy or gummy. Your hair may also start to feel ‘too soft’. This may sound like a contradiction but in some cases the hair can become so soft that it eventually starts to break. If this happens then you definitely need to take steps to repair the damage and prevent further breakage. So how do you prevent your hair from becoming over conditioned? The answer is moderation. You should use conditioner in moderation and don’t overdo it. Conditioning few times a week is ok; deep conditioning every day may be too much. While you should absolutely condition your hair to give it the moisture that it needs, do so in moderation. And when you deep condition your hair do not leave it in for more than a few minutes at a time. You will also want to ensure that you include a good protein treatment into your hair care routine so that your hair maintains a healthy protein-moisture balance. Just as with conditioning, hair that has been chemically processed or coloured will also need more protein treatment that unprocessed natural hair. 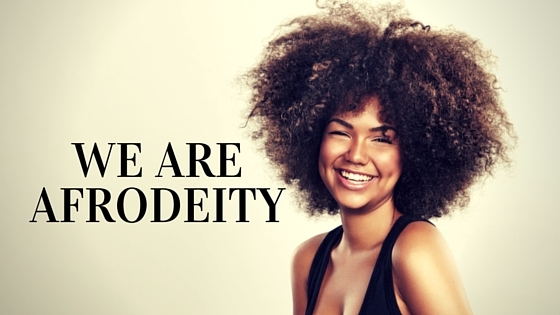 Yes, you can over condition your hair but if you have natural Afro hair the chances are that you won’t have worry much about this because our natural hair is so good at absorbing moisture. To be on the safe side though, use conditioners in moderation and don’t forget those protein treatments! The first thing you should do to prevent your hair from getting heat damage is to DEEP CONDITION it. This is a process that can be started anywhere from an hour to a day or two before you intend to straighten or curl your hair with a heated instrument. If you’re starting the day before, you can apply the deep conditioner of your choice, wrap your hair up in a plastic cap and keep it on overnight. The longer you can deep condition your hair, the more moisture it will be able to absorb, but if you don’t have the luxury of time, you can wear your plastic cap and sit under a hooded dryer for a minimum of 30 minutes. The moisture that your hair gets from the deep conditioning process is what will help protect you hair against heat damage from your styling tools. The next tip is concerned with how you DRY YOUR HAIR. The best option is to allow your hair to air-dry, but this of course requires the luxury of time. If time isn’t on your side, you can use a blow dryer. It is best to use your hair dryer at medium or low heat settings as higher temperatures can quickly damage your hair. You should also use a good quality dryer that will be able to efficiently manage the amount of heat being used. Before you blow dry, gently use a towel to soak up the excess water and then apply a heat protectant. Using a heat protectant is a very important step as it forms a barrier between heat and your hair. For the best results you should also use a light moisturizer on you hair before you add a heat protectant. Make sure you have a flat or curling iron with a temperature setting. You need to control your heat to somewhere between 320F and 350F, you will know after you have used it a couple times what works best for your hair. Some people can take much higher heat with no damage but going above 380F is not recommended. Before heat styling, you might to want to smooth some anti-frizz serum and oil treatment of your choice unto each section of hair to provide extra heat protection. The advantage of this is that they make your hair more slippery, allowing the curler or flat iron to pass through quickly, reducing the heat exposure while also enhancing the outcome of the desired style. Style your hair in small sections and try not to curl or straighten the same section too many times. You also should not use heated instruments to style your natural hair more than once a week. Limiting the amount of heat that your hair is exposed to will go a long way to preventing heat damage and hair loss. If you used a flat iron to straighten your hair you can complete the process by WRAPPING YOUR HAIR up gently in satin or silk scarf and then sitting under a hooded dryer (at low or medium settings) for another 20 to 30 minutes or better yet, skip the dryer and just keep it wrapped for an hour or so. The great thing about satin and silk is that they do not soak up the moisture from your hair, drying it out as other materials might. Cotton, for example, can do more harm than good as it will drain your hair of moisture, making it brittle and encouraging hair damage. These tips can be used not only to help protect your hair from heat damage, but they will also improve the overall health of your hair and your style will come out looking better too! 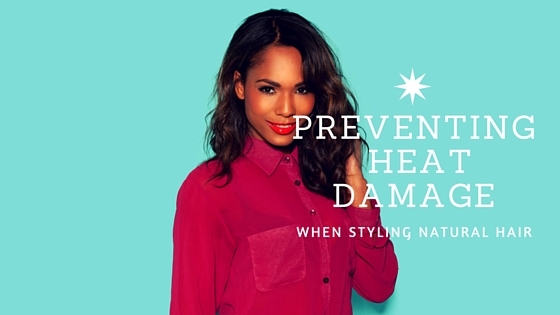 Do you have any tips on how to protect natural hair from heat damage? We would love to hear from you! Please feel free to leave your tips, suggestions or comments below. "Farm Up Jamaica is a non-profit organization formed to assist Jamaican farmers in the cultivation of organic food and reduce the importation of conventional inorganic and genetically modified (GMO) foods. Helping to reduce Jamaica’s imports and increase the export of high quality foods, will help to balance the economy and Jamaica can truly live up to it’s historical worldwide standard of producing the best. Most Jamaican farmers have been unable to succeed over the years mainly due to the inability to establish markets for their crops. Other reasons include lack irrigation, no disaster recovery assistance, and no true subsidies for farmers. Farm Up Jamaica has formed alliances with Jamaican food manufacturers worldwide to guarantee markets for crops both locally and internationally. We hope to continue to support Farm Up Jamaica in 2016. One of the newest projects involves a scotch bonnet seed farm in St Elizabeth. We have developed Jamaica’s first organic, non-GMO scotch bonnet pepper seed bank in Santa Cruz, St. Elizabeth, Jamaica. This will be the indigenous “cup and saucer” scotch bonnet pepper, which is the pepper of choice locally and internationally amongst Jamaicans. Seed banks will play an important role in accessing organic seeds to be planted on the island in the near future. All net proceeds from the sales will go back into our Farmers Fund to help more distressed farmers. The project costs $15,000 and is already 75% funded. Any additional funds raised will be used to pay workforce to (a) transplant the seedlings from the greenhouse into the ground and (b) improve irrigation of in the field. As you know I am a self confessed geek, which now a days seems to be a normal thing really. I am a total gamer girl and I love my Tomb Raider and Assassins Creed, but the thing I am loving at the most moment is how much more you can get from your games console in 2016. "Work out smarter with famous trainers"
My current favourite is the Yoga workout with trainer Jake Ferree. I have been doing this every other day for three weeks and my stomach feels so much more toned. I couldn't believe the difference after only a few workouts. That being said I am not in bad shape so I really just wanted to tone up. However the treadmill just wasn't doing it for my stomach and arms. I've tried several exercise classes, I did try yoga once before but the classroom was cold and draughty. Boxercise was a large class and a little intimidating. The thing I did stick with for years was Jazzercise, only because I love to dance. I lost very little weight and my ankles were swollen after the high intensity jumping around (you don't have to, but as I said I love dancing) Eventually I stopped that too. The thing I have stuck with is the YO:30 programme for XBox Fitness which is available on the XBox One. The Kinect camera scans you and monitors your progress. You get real feedback about how you are moving and how you can get more from your workout. I can't believe that three sessions in and my tummy feels so much tighter, I feel so much more relaxed and am completely obsessed. I go at my own pace, no one is watching me collapse in a heap and its not a big deal if I do. I can hear you saying "what do you mean it scans you?". Just that the kinect camera scans your body and tracks your movements. It works out your heart rate(someting I still cant get my head around) and tells you how to improve on your workout. There is something for everyone, so if you want something more intense there are workouts for you. When I want more of an active workout I also use the Dance Central games and those animated characters just out danced me! I didn't think it was possible for a computer to put me in my place, dance wise but the technology has come on leaps and bounds in recent years. Quite a good workout though and good fun with friends. I'll be updating you with my fitness journey and quest for a flatter stomach over the next few months. Tune in next week. Sometimes a bold new colour is just what you need to spice things up with your naturally curly hair. 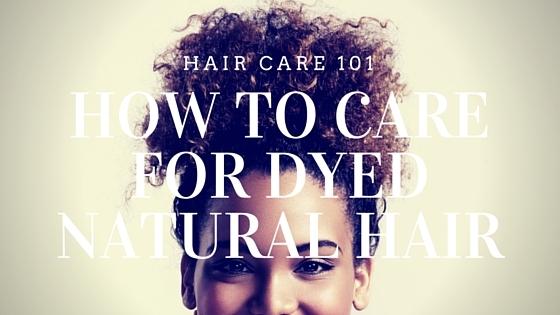 Most of us naturalistas have considered using a natural hair dye at one point or another but few of us who are brave enough to follow through on this desire actually know how to properly care for dyed natural hair. Failure to give your dyed hair the extra care that it needs can result in damage such as spilt ends, breakage and even hair loss. Whether you have already coloured your hair or you are just thinking about doing it, here are some tips that you can use to care for dyed natural hair to reduce the risk of damage as well as improve the overall health of your hair. The process of dyeing your natural hair can be stressful and it is important to consistently moisturise when you colour treat your hair. Use sulphate free shampoos as they will not strip your hair and they will also help your colour to last longer. Ideally you want to deep condition your hair with a deep conditioner that is made specifically for dyed hair every time you wash it to help it retain more moisture. Be sure to distribute your deep conditioner thoroughly, working it from the root to the ends of you hair. It is a good idea to do regular protein treatments as well; they will also help with moisture retention. Wearing a protective style can go a long way to help reduce the damaging effects of dying your hair. This is especially true in conditions where natural hair is more vulnerable to breakage and split ends like in cold winter weather. You should try to wear your dyed hair in a protective style most of the time to help prevent these types of damage and it will help your hair to retain more moisture as well. When you have a protective style you will also have less need for heating tools like dryers and flat irons. Using these types of styling tools when you have dyed hair can cause even more damage. 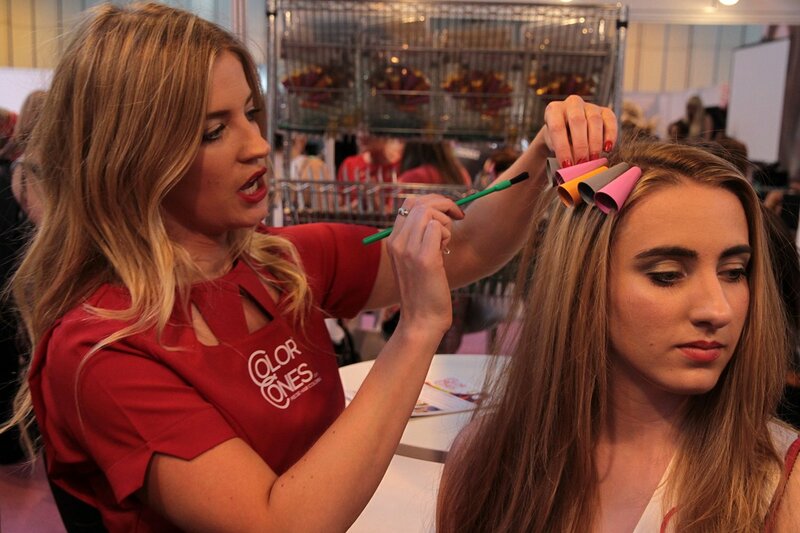 While you want to keep the colour of your dyed hair looking fresh you should resist the temptation to do regular touch ups on the colour. Try to put as much time between retouches as possible to give your hair some time to recover from all the chemicals that are in the dye. When you use hair dyes that have bleach in them this is even more important. After you dye your hair your hair shaft will be delicate and disposed to to breaking so it will need as much time as possible to recuperate before you retouch it. When you do retouch, concentrate on the roots so that you do not over-process your hair. Now that you know how to correctly care for dyed natural hair you can go ahead and colour you hair in confidence. Taking proper care of your dyed hair will protect it from damage and help your colour to stay vibrant and gorgeous for longer. Go rock that colour sister! Do you have any tips that you use to care for your dyed natural hair you would like to share? Feel free to leave a comment below and let us know. As I mentioned before doing several monthly giveaways and it's time for its time for our first giveaway. We'll be doing giveways every month featuring brands we've spoken about before or new brands we think you'll love. 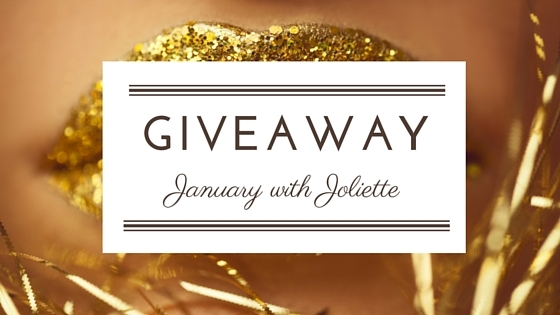 For our first giveaway we wanted to give you something for just in time for Valentine's Day and as Joliette is a brand under the AfroDeity hat we thought we'd let our first giveaway be from our Luxury Caribbean Inspired Brand. 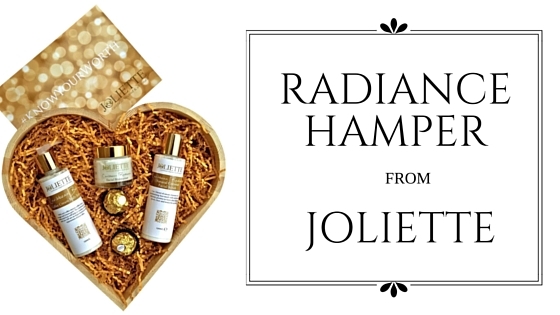 We'll be giveaway one of or Caribbean Radiance Hampers. This is our face care hamper with a natural coconut fragrance. Using a natural oil as a part of your regular hair care regime is especially important when you have natural Afro hair. 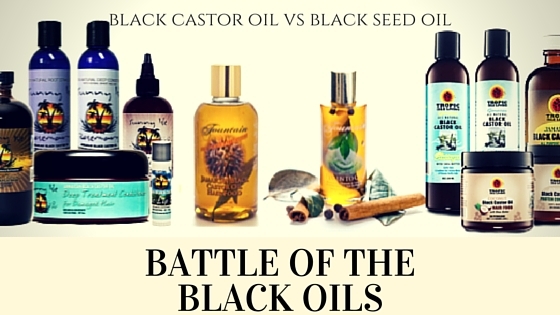 Jamaican Black castor oil and Black Seed are considered by many in the natural hair community to be two of the best oils to use when maintaining your natural tresses, but in the Battle of the Black Oils who will reign supreme? What are the benefits of using each one and exactly how are they different? Let’s have a look at these two natural oils and see how using them can help encourage healthy natural hair growth. 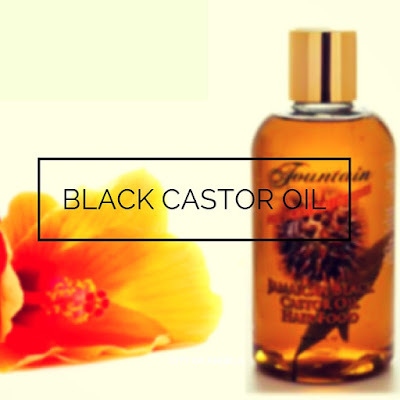 As mentioned in the post Jamaican Black Castor Oil OverUse, be careful not to overuse JBCO as it will be counterproductive. Otherwise, it clearly has many benefits that can help your natural hair to be healthy and strong. Black seed oil is also well known for being an elixir that will fight all manner of diseases and illnesses including some that are considered to be ‘incurable’ like HIV and Cancer. The hair benefits listed above are just the tip on the iceberg of what this incredible oil has to offer. So which oil reigns supreme in the Battle of the Black Oils? 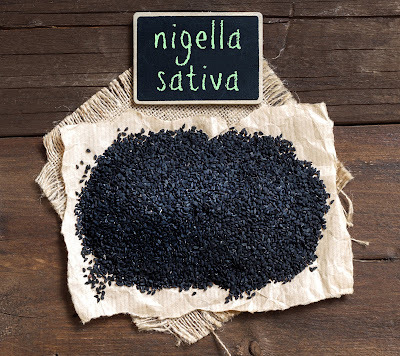 Personally, I would give the tile to black seed oil because, well, how can you beat being able to cure disease? You may prefer JBCO for different reasons. 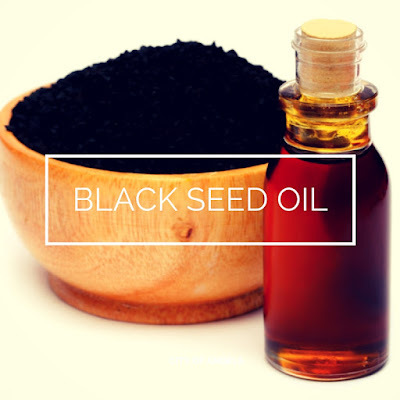 If you are only concerned with hair care then JBCO may be all that you need to achieve your hair goals but if you are taking a more holistic approach, black seed oil can benefit your entire body. In the end it comes down to your personal preference as you will definitely benefit from using both.